Does the Water in Your Home Affect Your Skin and Health? Do you find you must keep a bottle of skin lotion in the bathroom to stave off the itchiness you feel after taking a shower? Do you watch your new hair highlights turn brassy in mere weeks? Is your skin nice and silky after you bathe, or do you feel a tight, irritated sensation instead? The problem behind all these issues could be your water. If you have hard water in your home, it could be affecting your skin, your hair and your overall health. There are many ways to treat your hard water to counteract these effects, but first, you need to know if you actually have hard water and the possible overall effects on your health. If you have deposits of calcium and magnesium dissolved in your water, you have what is called hard water. Hard water leaves a horrible white scum all over the tub or shower, makes it difficult to build up a lather with soap or shampoo and generally makes it difficult to get clean. Hard water also leaves mineral deposits in shower heads, hindering the flow of water and reducing pressure. It makes cleaning the hard water stains from the tiles a whole separate chore. Soft water, on the other hand, has very low concentrations of calcium and magnesium ions, and has only sodium ions. Soft water naturally occurs as rainwater. 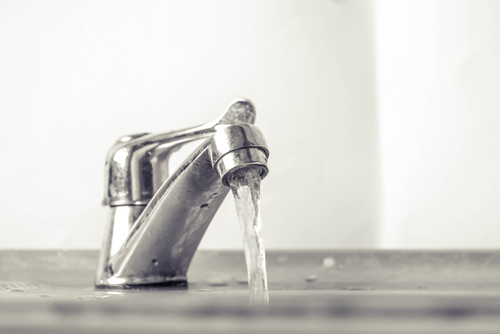 You probably have hard water simply because of where you live. If your water is flowing through mineral-heavy soils or over particular rocks, it will pick up extra magnesium and calcium as it goes. If you don’t live in an area with high mineral counts, your water is likely soft. For your skin, hard water is bad news. It can lead to redness, puffiness and even acne. If you suffer from eczema, it will make it much worse as it leaves a small amount of scum on your body, which dries out and makes you itch. You can try some quick fixes, but you are much better off finding a long-term solution. 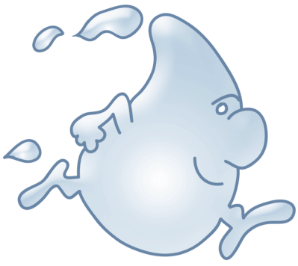 Boiling: You can boil your water if you have hard water, which will remove the impurities. Once it cools, you can store it in a plastic gallon jug. This isn’t the most efficient way to take care of the problem, but it is a short-term solution. This is best for your face, which is more exposed to the world than any other part of you. Keep a bottle of treated water in your bathroom to use for your daily ritual. Infusion: Another solution is infused water. You can steep rose petals in water for great benefits, but again, this is time-consuming and not always convenient. Make rose water whenever you can even if you don’t have serious acne. It’s a great treatment for all skin types. Filters: You can also get a water softening system or filter. This will make your washing machine, shower and faucets much more skin friendly. This is an investment in your overall health and wellness. Hard water is as bad for your hair as it is for your skin. Hard water leads to dry, straw-like hair, an itchy scalp and a number of other problems. You will see the struggle of hard water anytime you try to lather up in the shower. People with hard water cannot get a regular shampoo to lather as easily as it would with soft water. 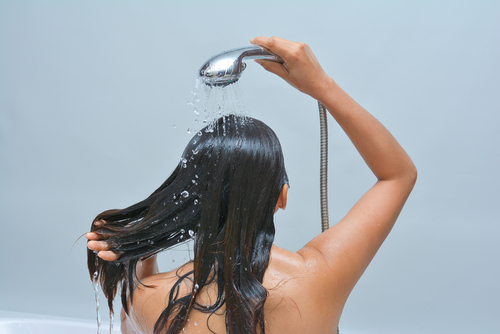 Hard water users tend to shampoo their hair more often and take more time doing so, wasting water and costing more. There are some shampoos specially made for use where you have hard water. One of the best shampoos available is the Malibu hair system, which includes a once-a-week deep cleansing treatment that comes in little packets you can keep in the shower. Another option is to give your hair weekly treatments. You can try apple cider vinegar, baking soda in wet hair or a rinse with soda water. While this may seem a bit extreme, these methods can help eliminate the mineral build-up on your scalp caused by the hard water deposits. Filters are the best option to soften the water in your home so you can have lush hair and a beautiful complexion. If your water is so hard you see a gray build-up on your scalp, the best thing to do is invest in a shower filter or whole house water softening system. This way you won’t have to worry about what shampoo to buy or weekly treatments.